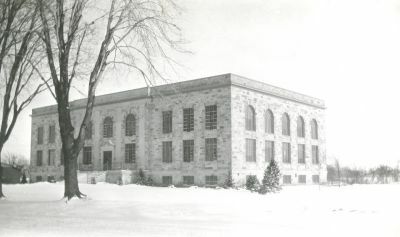 The Renewable Bioproducts Institute (RBI) is the current stage of the evolution of the Institute of Paper Chemistry (IPC) founded in October 1929 in the state of Wisconsin. IPC was created to provide science, technology and education in support of the pulp and paper industry, a rapidly growing sector of the economy whose executives recognized the need for employees specifically trained in the scientific processes of papermaking. 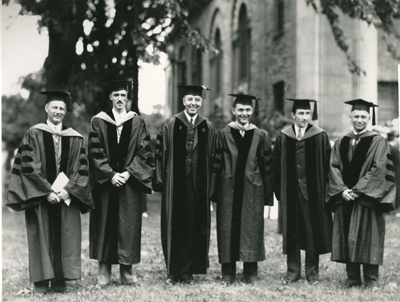 With a rich tradition upon which to build and a progressive attitude toward evolving technologies and practices, the Institute flourished as it was led by a succession of individuals who preserved its integrity, but allowed enough flexibility to adapt to the changing times. In those changing times, IPC became the Institute of Paper Science and Technology (IPST). With the boom of Information Technology in the late 1970s and early 1980s, the Board of Trustees approved a plan to relocate to the Georgia Institute of Technology campus. The move would align the Institute with a premier research university with significant strengths in engineering and science, including the relatively new computer science and technology field. Both challenges and opportunities lay ahead. The new millennium saw the escalation of the numerous social issues that had plagued the latter half of the previous decade. The widespread use of constantly improving communication devices solidified the concept of a global marketplace. Mergers, consolidations and weak domestic and global economic conditions led to a series of challenges unlike anything the pulp and paper industry had seen before. It was even more apparent that a permanent alliance was critical for the Institute’s survival. The two officially merged in 2003. The Institute became one of Georgia Tech’s four large interdisciplinary research institutes, continuing to offer graduate degrees in paper science and engineering. The integration was declared complete in 2004. For the next decade, IPST built on the rich traditions of the past and continued to evolve as tremendous changes took place in economics, manufacturing, environmental policies and industry objectives and as the explosion of research technology opened even more doors to advances the paper industry never imagined. That evolution would entail a new name and an expanded scope of work and research in May 2014. The move enabled the Institute to broaden its appeal to research investors seeking to unlock the potential of biomass materials for a range of products, not simply limited to paper. 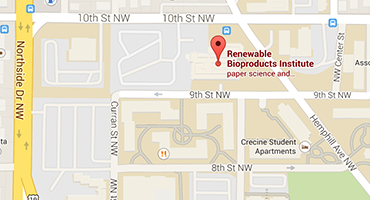 Thus the Renewable Bioproducts Institute was born. That same month, RBI received a $43.6 million gift from the Institute of Paper Chemistry Foundation (IPCF). This major grant, one of the single largest gifts in Georgia Tech’s history, affirmed the Institute’s position as a leading driver of the future of the forest bioproducts industry. The significant endowment currently supports more than 50 paper science and engineering students who advance the research mission of RBI through their faculty directed research. Today, RBI boasts some of the top minds in the fields of chemical and biomolecular engineering, mechanical engineering and materials science and engineering covering a wide range of research areas in both bioproducts and bioprocessing.